This is your last chance to make a bold prediction about the presidential election. 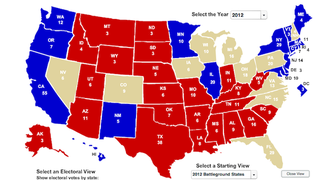 We'd like to help you in that endeavor, so head on over to www.270towin.com, use their interactive electoral map to make your prediction, and then post a screenshot of your map below. If you nail your prediction, we might give you a prize or something.